Jay-Z has more platinum albums than any other hip hop artist, but I don’t think anyone could’ve expected this. 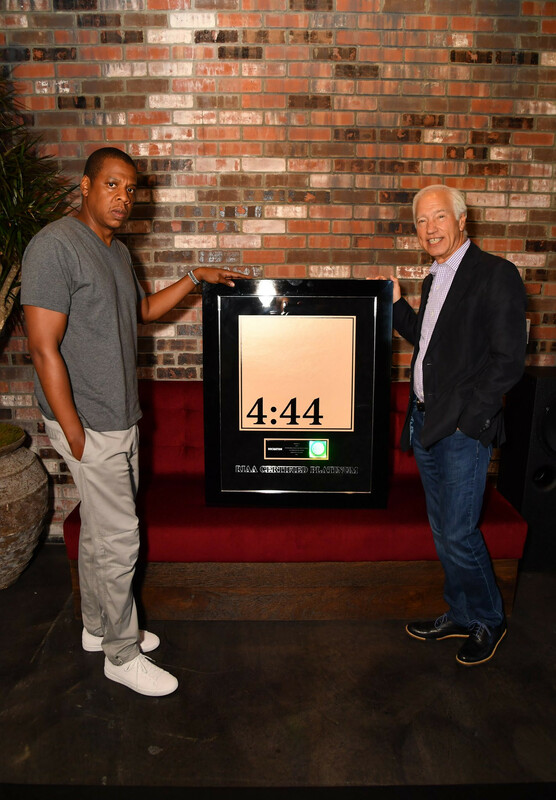 Although his latest album 4:44 released on June 30, it is now certified platinum by the Recording Industry Association of America (RIAA). What makes this incredible is that [4:44] was officially released for streaming only on two platforms, Tidal and Sprint. I was one of the people who thought this was a bold move, but I guess it worked out for Jay-Z in the end. Or the beginning. It’s been like six days. I’m not even fully sure what the RIAA is counting because there were no digital albums available, just streams. Maybe it was tallied by the number of plays? Some folks are skeptical of how this platinum status was accomplished so quickly under the limited streaming capabilities. Complex speculated that Sprint may have purchased bulk copies of the album like how Samsung did for Magna Carta Holy Grail. That would make sense. There were a lot of people who thought a Tidal-Sprint release would severely hinder Jay-Z’s financial success with this album, so maybe he sold a million copies to Sprint before releasing it on iTunes and Apple Music to quell the haters and make it appear as if Tidal can handle itself just fine. That would certainly make Tidal look like an effective service for other artists and open up business for Jay-Z down the road. I’m not saying this is what happened, it just wouldn’t surprise me is all. In any case, I’m more interested in the actual music, and the album sounds pretty fine is you ask me. Congrats to Mr. Carter!